Born in Osaka and currently based in Berlin, Chiharu Shiota is well-known for her passion of wrapping objects and spaces with red or black thread. In the case of Gucci, her artistic gesture intends to reinterpret an emblematic pattern designed by Gucci’s creative director, Alessandro Michele. The room is fully immersed in a bicolored motif of branches, leaves and flowers. The red yarn spreads in every direction, transforming the brand’s flat print into a three-dimensional universe. Symbolically, Shiota’s red tangle expands over tapestries embracing everything from fashion accessories to furnishing and décor. In a way, this room is a statement of Gucci’s global image applied in an entire all-embracing scale. Chiharu Shiota’s Herbarium installation is a part of the Gucci 4 Rooms exhibition on the 7th floor of Gucci’s Ginza building. The program includes four visionary rooms curated by four different artists called to express the inventive spirit of the house. It will run through November 27, 2016. 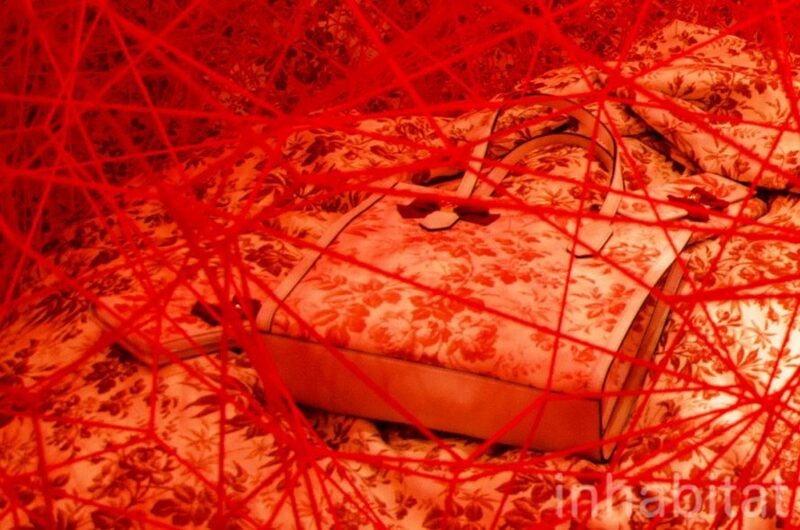 Chiharu Shiota wraps the Herbarium Room for Gucci with red yarn. Entrance of the Gucci 4 Rooms in Ginza. Entrance of the Herbarium Room featuring the gigantic red web by Chiharu Shiota. In and out of the dreamlike Herbarium Room by the Japanese artist Chiharu Shiota. 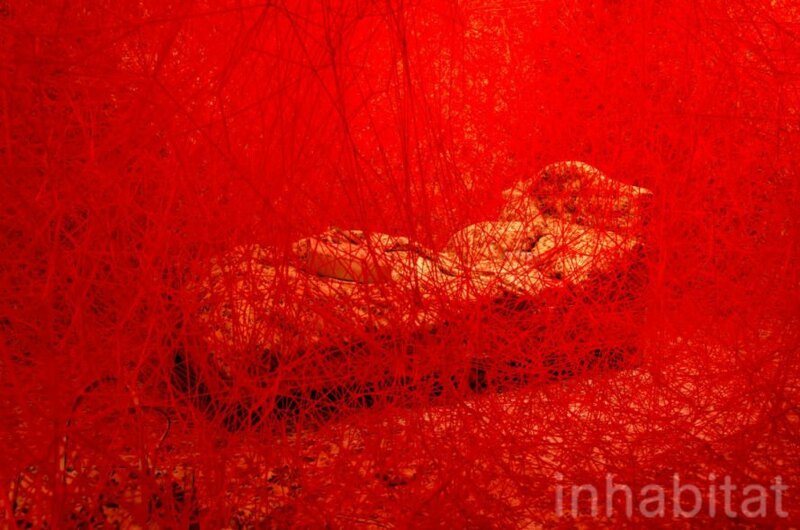 Tthe Herbarium Room by Chiharu Shiota in Ginza is tangled with red yarn. The Herbarium Room's red yarn expands over tapestries embracing everything from fashion accessories to furnishing and décor. Abstract and endless space in the small Herbarium Room. Gucci's Herbarium Room by Chiharu Shiota. Gucci 4 Rooms in Ginza featuring Chiharu Shiota's Herbarium Room.